Over the last few years I’ve been working with my neighbours in Hackbridge to try and establish a 25 hectare ecology park on some disused fields, opposite to where I live at BedZED. 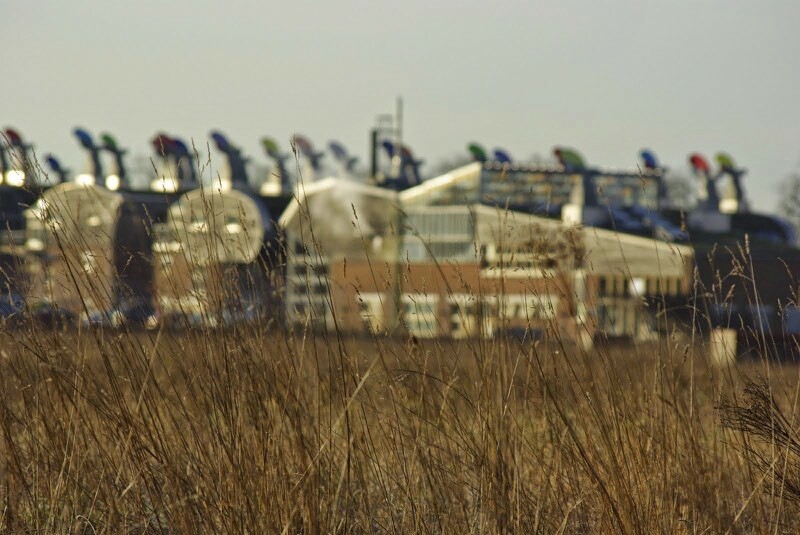 The park will help connect people to Beddington Farmlands (a 400 acre nature reserve) and the wider green corridor of the Wandle Valley Regional Park, a new park that winds along the River Wandle, stretching from Croydon and Sutton through Merton and Wandsworth to the Thames. Outdoor activities: such as nature tours, cycle paths, bird watching, photography, walking and running. Renewable energy generation: solar panels that generate renewable energy for the community and income to cover the ongoing running costs for the park. Habitat restoration: increasing the ecological value of the land whilst also creating places for people to engage with and learn about the wildlife. Sustainable food growing: providing healthy, sustainable produce to the local area. Natural swimming pool: a low impact pool providing a unique, local place for people to swim and exercise. Social support services: providing volunteering, mentoring and construction opportunities to help people integrate with the community, gain skills and confidence. The land is divided into two sections by existing woodland habitat, as shown in the map below. It has a range of planning designations, including Metropolitan Open Land, Site of Metropolitan Importance for Nature Conservation and Safeguarded for Mineral Extraction. The bottom section of land is owned by Sutton Council and was previously used for gravel extraction and sewage works. The upper section of land is owned by Day Group and was also used for gravel extraction – once this was halted, it was utilised as a non-hazardous landfill by SITA. 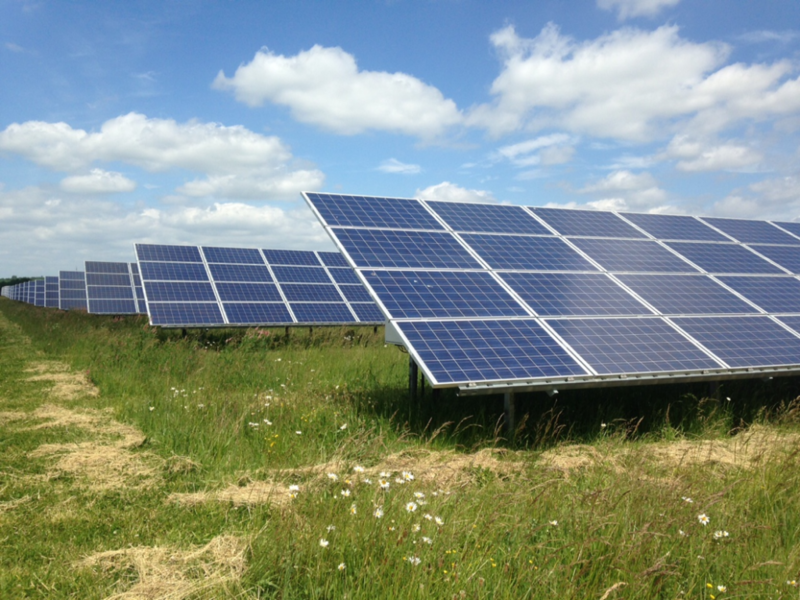 On the upper section of land we have been exploring the feasability of integrating a solar park into the ecology park. 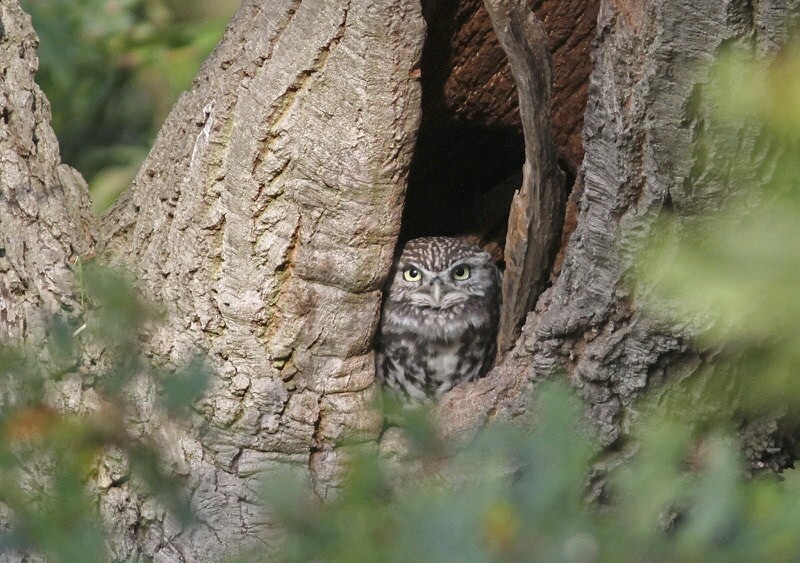 The 2016 State of Nature report, compiled by over 50 wildlife organisations reveals the severe loss of nature that’s occurring in the UK. More than one in ten of all the species assessed are under threat of disappearing from our shores altogether. The biodiversity index also suggests that we are among the most nature-depleted countries in the world. Biodiversity is the backbone of our ecosystems which we depend on for survival and there’s no time like the present to act on conserving and enhancing natural habitats, which is why projects like this are vital. 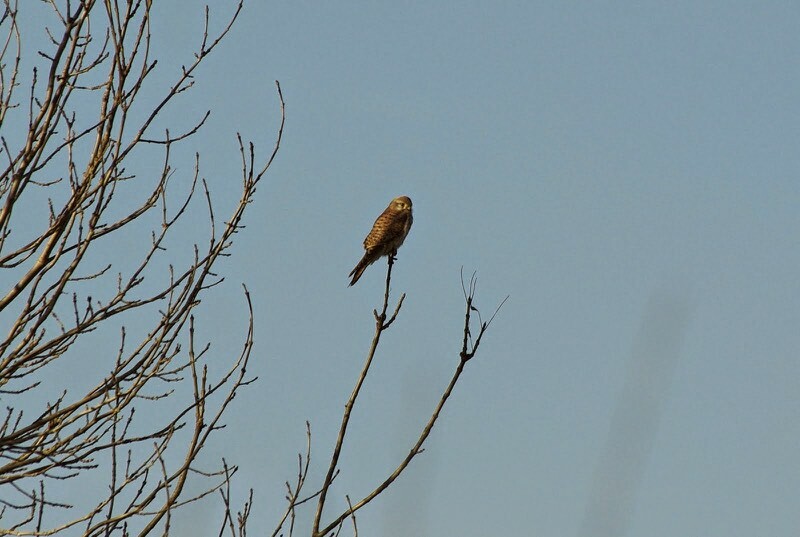 One of my heroes in Hackbridge is Peter Alfrey, a zealous ecologist who works tirelessly on bird and wildlife projects across Hackbridge and Beddington Farmlands. Peter is a key person that helps document the wildlife on the nearby Beddington Farmlands; this includes 258 species of bird, 476 species of moth, 9 species of bat and over 300 species of plants. 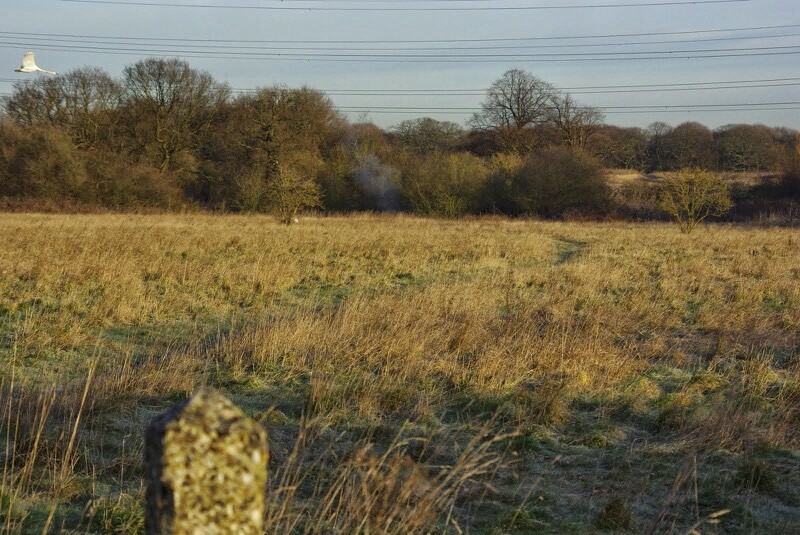 One of the central parts of Hackbridge Ecology Park will be enhancing the neighbouring landscape which connects to Beddington Farmlands, helping make better spaces for wildlife to thrive, such as wetlands, grasslands, scrub, additional trees and hedgerow. The project is voluntary-led and has been slow to develop while we all have day jobs and other commitments. Despite this, we’ve done a fair amount of work so far, with particular thanks to the drive of Sue Riddlestone, co-founder of Bioregional and an instigator of BedZED, the famous ecovillage in Hackbridge. Sue’s team at Bioregional have helped raised some initial funds for our group to complete a pre-feasibility study, facilitate community workshops and undertake a solar feasibility study. Position the site to visitors as a gateway to the wider Wandle Valley Regional Park. In 2015, our group won funding from DECC’s Urban Community Energy Fund to progress a solar feasibility study. The area of interest is the northern section of the land, which may be contaminated and has four large electricity pylons cutting across the field. 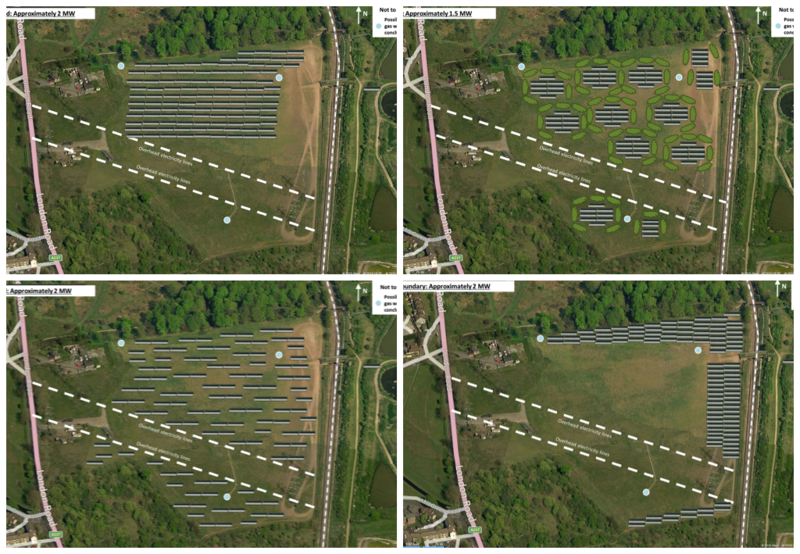 Potential public uses for this section of land are limited, so ground mounted solar panels could be an ideal solution. 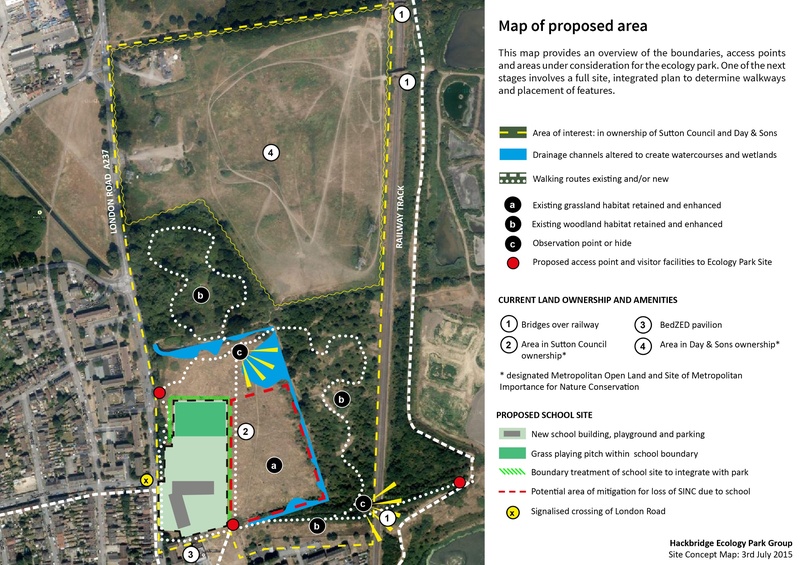 This could allow the land to remediate for a further 25 years or more, while providing green electricity to the local area and generate an income for the Ecology Park to be used for maintenance and visitor facilities. Climate change policy advocates for more renewable energy and this also fits with The Mayor of London’s target to supply 25% of London’s energy from local sources by 2025. A study of decentralised energy capacity by the GLA concluded that Sutton has the potential to generate 230GWh of electricity and save just under 100,000 tonnes of CO2 by 2031. Installations like this are an important part of this decentralisation. Furthermore, Sutton Council’s One Planet Living Policy BP6 seeks to maximise the potential role of renewable energy sources and de-centralised energy infrastructure in Hackbridge. Policy-wise, everything points in the right direction. In early 2016 the government made an 87% cut to feed-in tariff income that has made the financial feasability of solar less attractive. Our study still shows promise and one of the routes that remains financially viable is to sell the energy generated to a customer through a power-purchase agreement. In terms of investment, we are interested in raising finance through a community share offer. To support this, Repowering London have stepped forward with an interest in working with us. However before we can continue on this, further work needs to be done to secure the land. The pre-feasibility work helped us have a solid understanding of the routes forward. This year, Viridor were granted permission to build an incinerator to burn South London’s waste, very close to the proposed ecology park. While bad news for air quality and wildlife, it ironically could provide a route for funding the beginnings of an ecology park. Viridor are in the process of launching a grant programme to support community projects with funding up to £30k, with preference for projects within 2km of the incinerator. However from what I’ve seen of the grant criteria, it does not cover staff or running costs of a project – a frustrating spanner in the works, but perhaps not insurmountable. What’s certain is that the project will have to be implemented in phases. In the next phase, we need to work with the landowners to open up the land for limited public access to deliver some practical, educational activities for the community, helping them learn about the wildlife already on site. We’ve began these dicussions with the landowners. We also want to make some simple improvements to make the site safe such as installing paths and fencing, creating routes for the public to use. We then need to deal with longer-term land governance issues and establish a more comprehensive development plan, working with stakeholders such as the Wandle Valley Regional Park. Ultimately, this is a multi-million pound project with grand ambitions and it’s exciting to be here at the beginning.